Over the next few weeks, as long as life doesn’t keep interrupting, we will be highlighting some wonderful new products. We’re starting tonight with a new category of beverages. One that combines the intoxicating combination of cider and earl grey tea. You already know about our love of all things tea, so of course, we were intrigued by the interesting fusion. As a lover of all things tea (you can see the many ways we enjoy tea), we’re always up to trying innovative tea products. 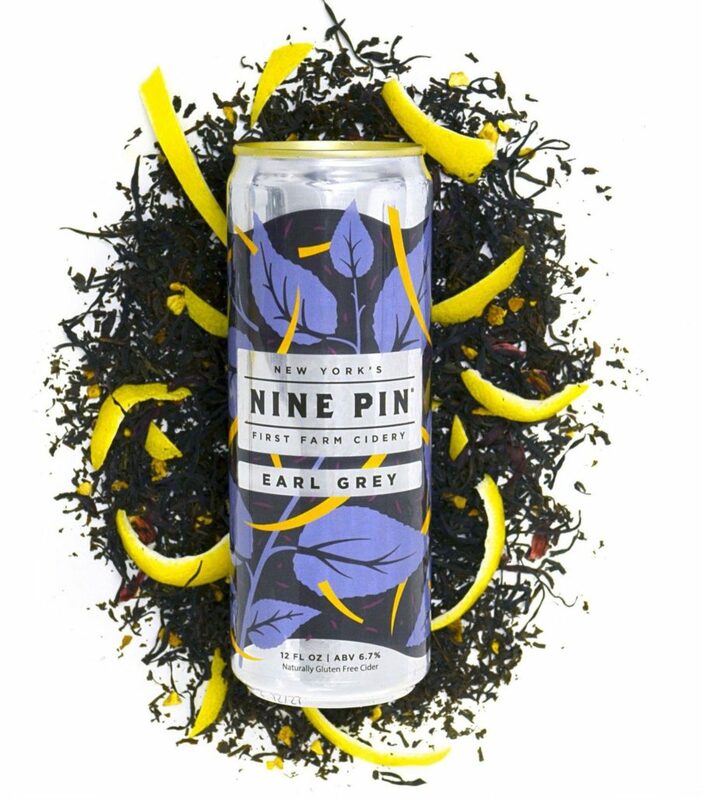 The Nine Pin Earl Grey Cider, available in slim tin cans, definitely fits the bill. What makes Nine Pin Earl Grey Cider so unique? Its crafted with 100% New York apples, cold infused with Short & Shout earl grey tea, and aged on lemon peel. The result is a bright and floral cider with tropical mango-like notes and an earthy citrus finish; this makes this a perfect winter cider and great to enjoy on those cold and cloudy winter days. If you’re an earl grey tea fan like we are, you’ll cherish (and easily identify) the subtle tasting notes of black tea and bergamot. It is quite a distinctive taste after all. The addition of earl grey sort of gives the cider a “smoky feel” without actually being smoky. It’s delightful and enjoyable. Nine Pin Cider Works is New York’s first farm cidery. This new Earl Grey release is a continuing collaboration with Guilderland, N.Y.-based Short and Stout Tea Co.
“Dramatic dark skies and swirling snow make Upstate New York great in winter. We recommend you crack open a can of Nine Pin Earl Grey Cider, and embrace the grey,” said Alejandro del Peral, co-founder and cider maker. “Short and Stout Tea is all about pushing boundaries on different ways to enjoy tea. 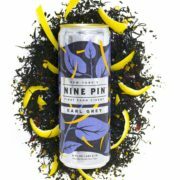 We are happy to work with Nine Pin year after year, so people can further enjoy this versatile ingredient,” said Matt Zacharewicz, co-owner, Short and Stout Tea Co.
Nine Pin Earl Grey Cider is available in 12oz cans; we highly recommend trying it at Nine Pin’s tasting room in Albany’s Warehouse District. Founded in 2013 and based in New York’s capital city, Albany, Nine Pin cider products can be found in hundreds of bars, restaurants, and retailers throughout New York, Massachusetts, Connecticut, and New Jersey. Nine Pin produces all ciders, sourced from Capital Region and Hudson Valley apples, in its 17,000 sq. ft. cidery facility and tasting room in Albany’s Warehouse District. Be Revolutionary®, Consider The Apple®, and Drink New York Apples®. During the winter season, we usually try to protect our skin from the cold; but this time around, we are fully embracing the cold……cold processing to be exact. We know what you’re thinking, we’re supposed to protect our skin from the cold. That’s true unless you’re using OZNaturals Cold Processed Skincare. Skincare products formulated through cold processing allows the active ingredients in those products to remain fresh and highly potent as intended. 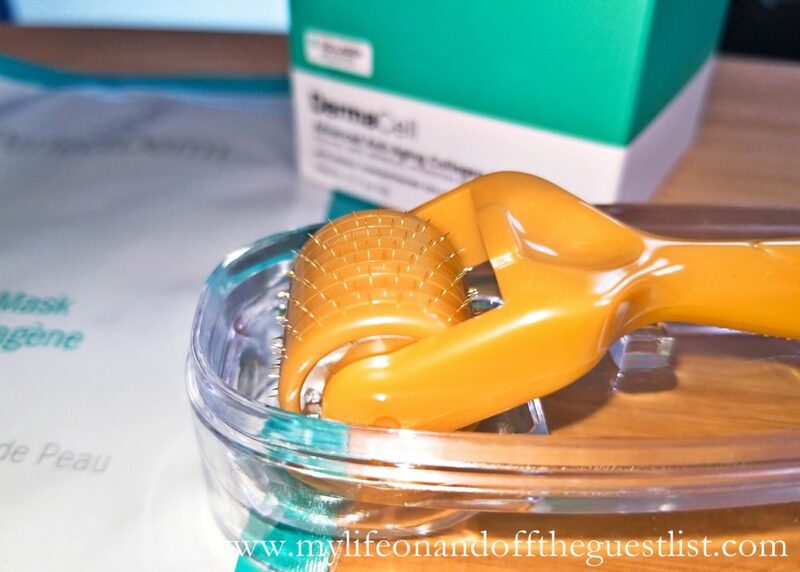 This enables the products to be even more effective and beneficial to your skin. Cold Processing also offers an environmentally friendly alternative requiring much less energy, less carbon dioxide, and provides a smaller carbon footprint. It eliminates the need for harmful preservatives or known toxins such as phenoxyethanol and sodium benzoate. OZNaturals Skincare the first company to create skincare products using this formulation process. Their cold processed skincare collection includes cleansers, exfoliators, masks, toners, serums, moisturizers, and eye treatments. 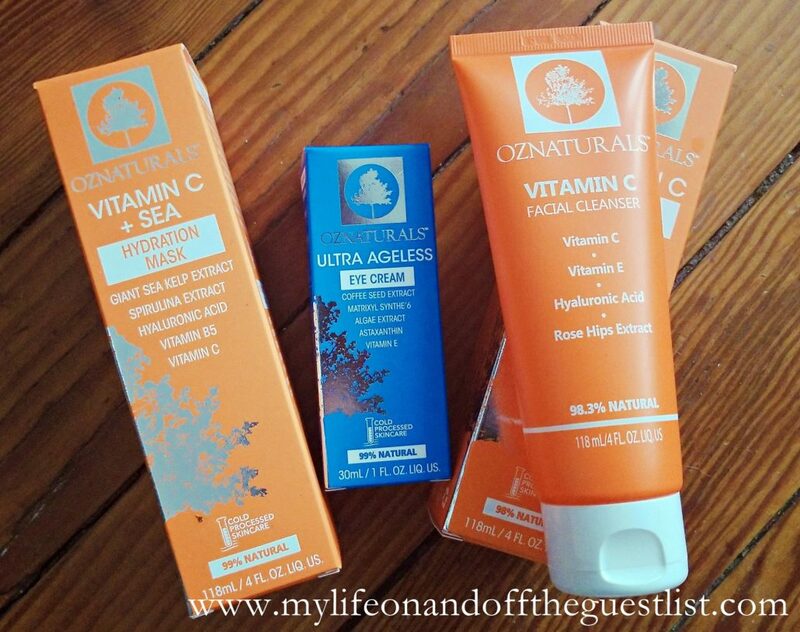 We had the opportunity to try three of the amazing OZNaturals cold processed skincare products – OZNaturals Vitamin C Facial Cleanser $15.49, OZNaturals Vitamin C + Sea Hydration Mask $19.99, and OZNaturals Ultra Ageless Eye Crème $17.49. We are in love!! As sufferers of oily, acne-prone skin, and enlarged pores, our search for skin problem-solving skincare is a continuous journey. Our research has of Vitamin C has benefits of a vitamin C-based skincare range for our skin issues. Not only does it leaves you with younger, firmer looking skin, but it also helps with pigmentation and achieving smoother skin. During the dry, harsh winter months, we always experience overly dry and overly oily skin and so far, we haven’t experienced either. And that’s just from using the three OZNaturals cold processed skincare products we are using. We can’t imagine how amazing our skin would be if we were using the full cold processed skincare range. 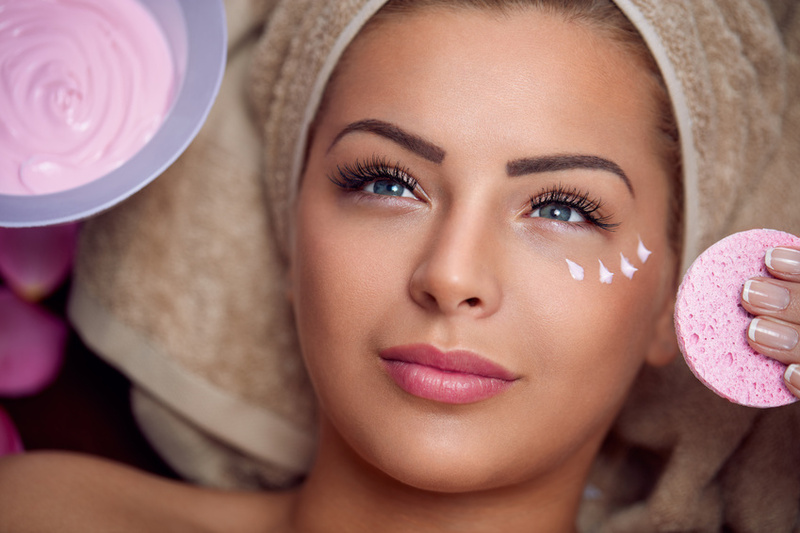 Say goodbye to wrinkles, dark circles, fine lines, and puffy eyes and hello to well-rested looking eyes with the lightweight OZNaturals Ultra Ageless Eye Crème. 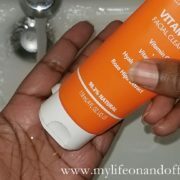 The Vitamin C + Sea Hydration Mask, which also boasts Vitamin C, is essential in brightening up your skin why hydrating it. The best part, it’s gentle enough to use every day. 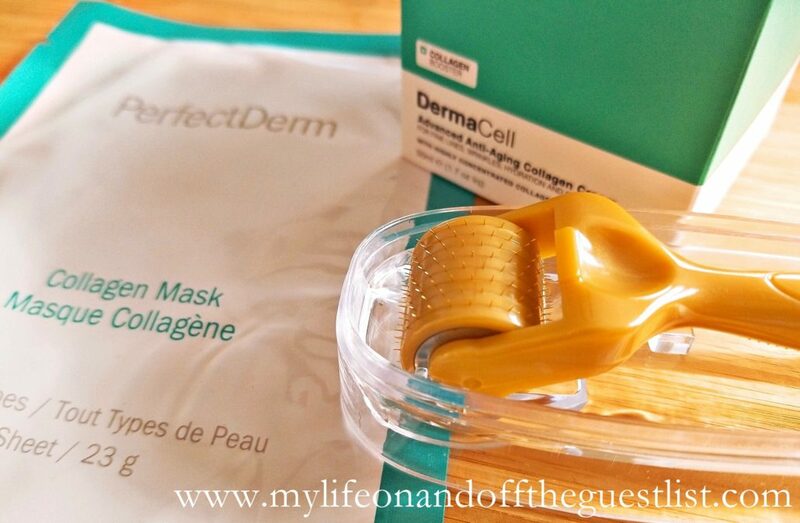 Those 30 and below degree days we had was no match for this skin-loving mask. You’ll love everything about these skincare products; the texture, scent, and of course the effect they have on your skin. The OZNaturals cold processed skincare products range from $15.49 to $19.99. All products are cruelty-free and gluten-free; they contain no parabens, GMO’s, sulfates, phthalates, synthetic fragrances, synthetic color, petrochemicals, propylene glycol, PEG’s or formaldehyde. 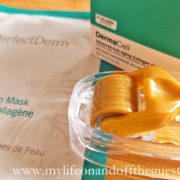 Get acquainted with this wonderful skincare brand on available online at www.OZNaturals.com and www.amazon.com. We’re hearing about new amazing plants and herbs being used in beauty products almost every day. We’ve actually featured several, but we haven’t forgotten about the ones that have been keeping us beautiful for years. Peppermint has been providing beauty and health benefits for decades. Its antiseptic and antibacterial properties are great for cooling your skin and completely cleanses your hair. Because this amazing plant has so many benefits, we’re highlighting products made from it. 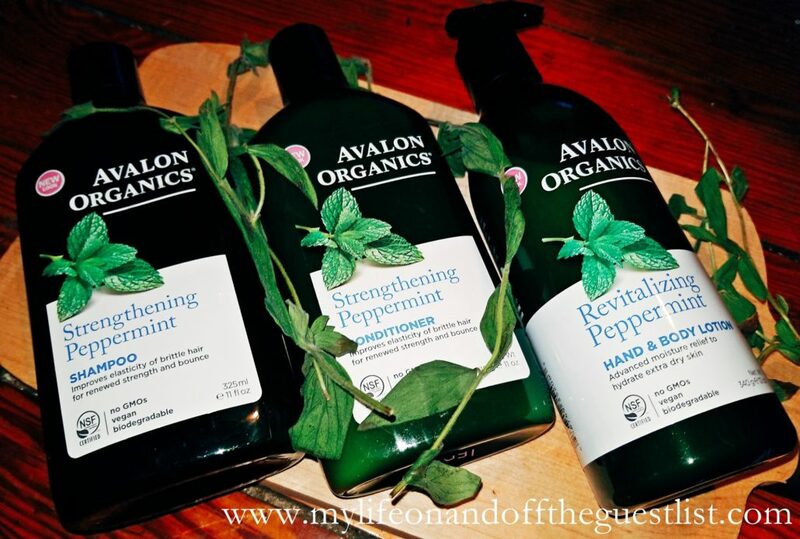 Keep reading to get to know the wonderful Avalon Organics Peppermint bath and body products. For hair that is brittle or weak, this medley of peppermint oil, quinoa protein, calendula, babassu oil, aloe, and vitamin E is what your hair needs. They help to strengthen and repair elasticity, smooth split-ends, flyaways and help prevent future breakage. The result is hair that is stronger with renewed bounce and length! Get both haircare products at www.Vitacost.com or www.Walmart.com. Revitalizing peppermint essential oil, aloe, vitamin E and nutrient-rich beta glucan work together to restore skin’s natural lipid balance. It’s long-lasting hydration benefits immediately revives and softens extra dry skin. Available at www.Vitacost.com or www.Amazon.com. You’ll love this hardworking blend of botanical cleansers, peppermint essential oil, orange peel and vitamin E. Known for their rejuvenating and moisturizing properties, these botanicals will purify and revitalize hands. Plus, this soap is gentle enough for frequent hand washing. Get it now at Target. This gentle plant-based formula unites peppermint oil, quinoa protein, aloe, and botanical cleansers to purify and revitalize extra dry skin. 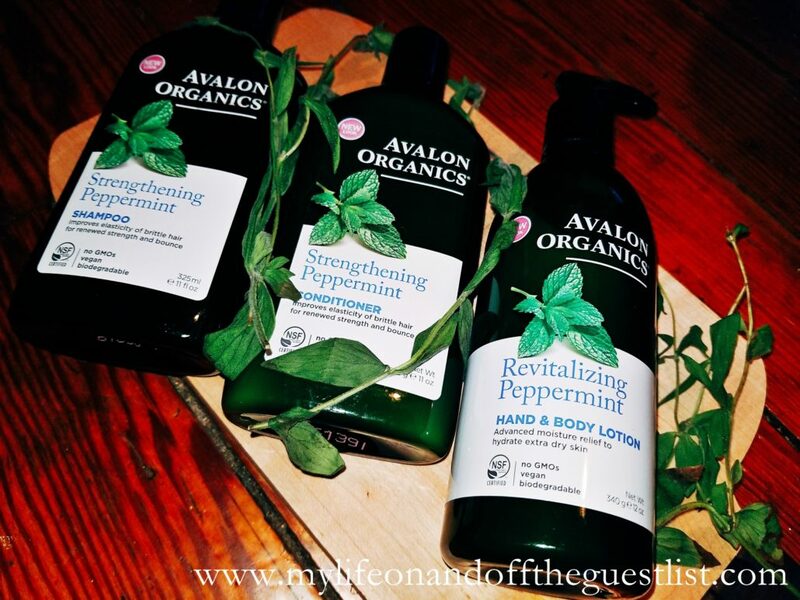 While the stimulating aroma of Peppermint energizes the mind and body. It’s perfect for winter and sunbathed skin. Get it now at Target. 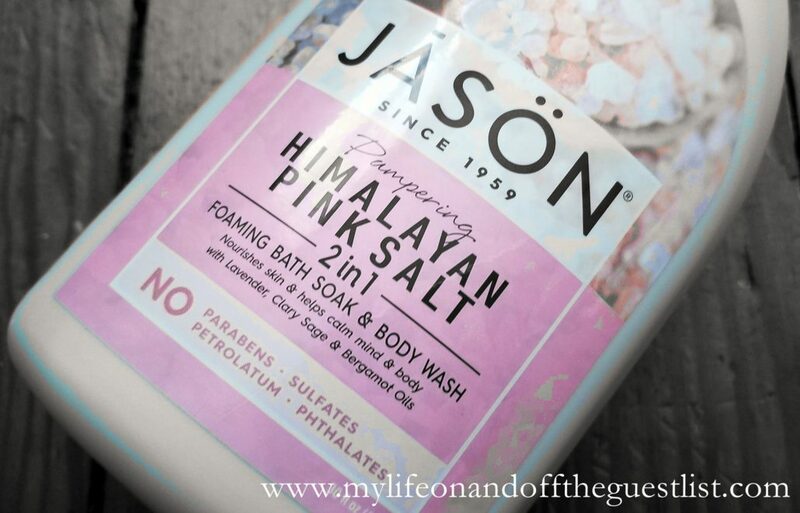 Are you a fan of peppermint bath and body products? 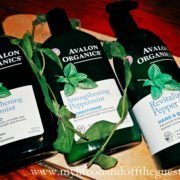 Are you ready to indulge your skin and hair in these Avalon Organics Peppermint bath and body products? As 2018 comes to an end and we move into 2019, why not say goodbye to dry skin. Don’t worry, with the new skincare collection from Nubian Heritage, saying goodbye will be easy. 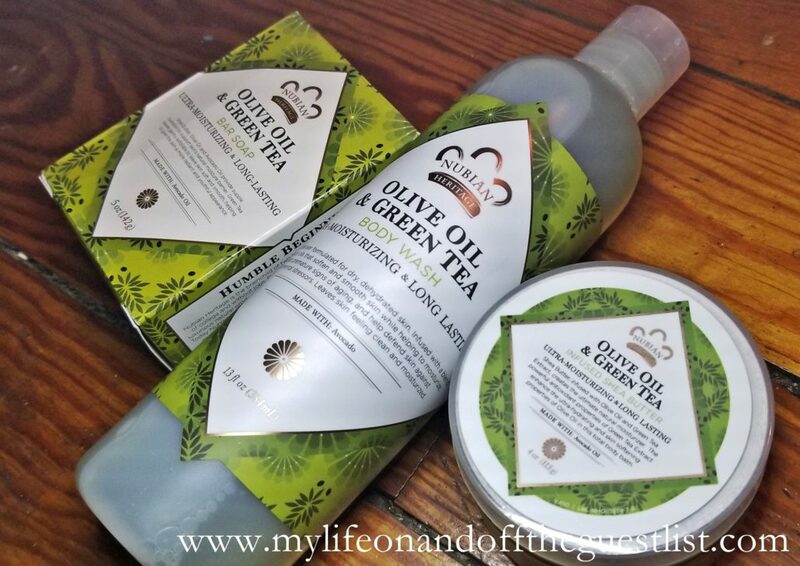 Boasting moisturizing, nutritious, ultra-hydrating and skin-softening properties, the Nubian Heritage Olive Oil and Green Tea collection will leave your skin feeling wonderfully supple. 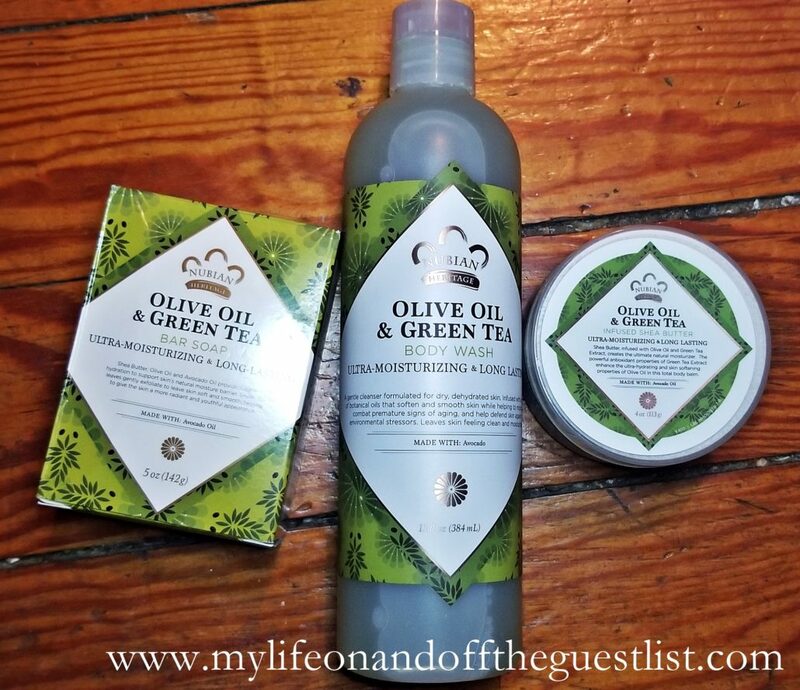 The Nubian Heritage Olive Oil and Green Tea collection is formulated with a trio of incredibly moisturizing ingredients. 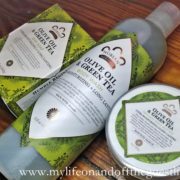 These ingredients are Avocado Oil, Olive Oil, and Green Tea. Did you know that Avocado Oil is known to provide long-lasting, moisturizing benefits? And the olive is a symbol of strength peace, fertility and, longevity in the Mediterranean and Northern Africa? Often referred to as the Fountain of Youth in Asian cultures, Green Tea is revered for its powerful anti-oxidant properties to encourage a youthful looking appearance. Plus, the packaging is full of green designs, the color of renewal. Bar Soap ($4.99) – Shea Butter, Olive Oil, and Avocado Oil provide supple hydration to support skin’s natural moisture barrier. Green Tea leaves gently exfoliate to leave skin soft and smooth while awakening the senses and deeply moisturizes and nourishes the skin. Body Wash ($10.99) – a gentle cleanser formulated for dry, dehydrated skin, leaving it feeling clean and moisturized. Infused with a blend of botanical oils that soften and smooth skin, it helps to give a more radiant and youthful appearance. Infused Shea Butter ($12.99) – the ultimate natural moisturizer. The powerful antioxidant Green Tea Extract enhances the ultra-hydrating and skin softening properties of Olive Oil in this total body balm. 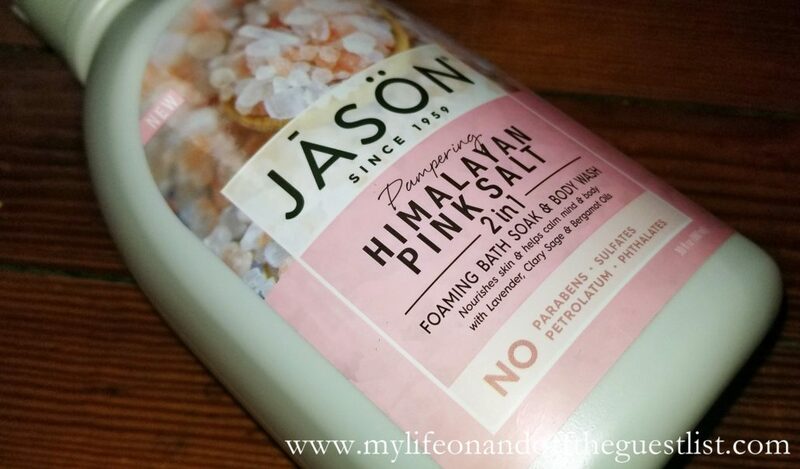 Body Lotion ($10.99, not pictured) – a luxurious body lotion that provides long-lasting moisture to soften and smooth the skin; it helps to give skin a more radiant and youthful appearance. Hand Cream ($9.99, not pictured) – a luxurious, nutrient-rich, long-lasting moisture treatment that regulates moisture and softens hard-working hands. The anti-aging and antioxidant properties of Green Tea help protect the skin from dehydration. The Nubian Heritage products are cruelty-free and do not contain parabens, sulfates, paraffin, mineral oil, petroleum, DEA, synthetic fragrance or artificial coloring. The Nubian Heritage Olive Oil and Green Tea collection is available at the Vitamin Shoppe and www.vitaminshoppe.com. .Want to get in the holiday spirit each time you wash your hands? We have just the holiday hand wash for you and your family. Share the joy of seasonal decor with these three, limited edition Dial Holiday Foaming Hand Washes. These foaming liquid hand soap are mild enough to use frequently and encourages healthy handwashing habits. 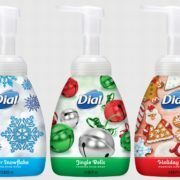 Dial has launched so many products you know and love. From their coconut milk bath products that continuously moisturizes your skin over 12-hours, and their 2-in-1 moisturizing and antibacterial products, Dial never disappoints. 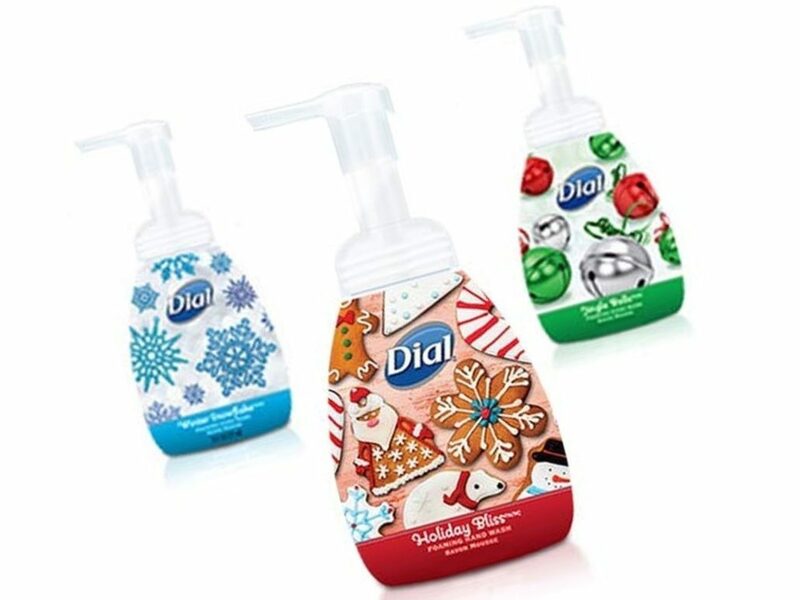 Available in three cheery scents, Jingle Bells, Winter Snowflake, and Holiday Bliss, the Dial Holiday Foaming Hand Washes are perfect for celebrating the winter season. 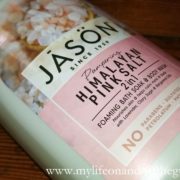 Not only do these foaming hand washes remove dirt and germs, but they are also a great way to decorate your sink with holiday cheer. You’ll love the way its light foam cleans your hands without drying. Instead, it leaves behind a pleasant scent and the assurance of a clean that’s complete. The Jingle Bells bottle features a wrap that boasts, you guessed it, bells. Red, green and silver bells (some with Christmas string) adore the bottle. The Winter Snowflake bottle features magnified views of snowflakes, highlighting the different snowflake designs. Lastly, the Holiday Bliss bottle features holiday cookies in a variety of shapes. You’ll smile as gingerbread men, candy canes, snowflakes, polar bears, snowmen, and of course, Santa Claus looks back at you. 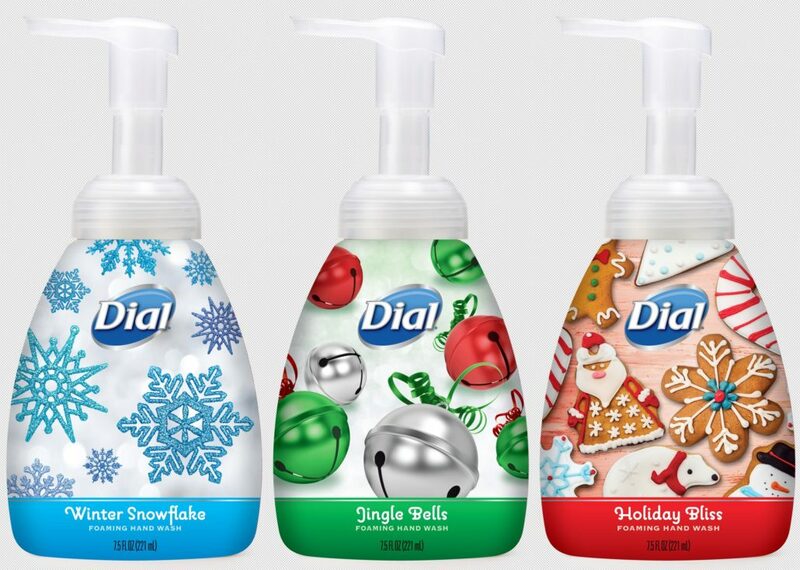 The limited edited Dial Holiday Foaming Hand Washes are available now at grocery, drug and mass retailers nationwide. Each can be yours for only $3.00. Will you be adding a touch of the holiday to your kitchen and bathroom sinks with the limited edition, seasonal foaming hand washes? Change Is Brewing: The EWG VERIFIED Label marks a huge leap forward in chemical ingredient disclosure. Now, industry giant Procter & Gamble is embracing the label. A YouGov Ombibus survey about New Year’s Resolutions found that 29% of women wanted to focus more on self-care. Unfortunately, the personal care products we use to pamper ourselves aren’t always great for our body or the environment. There are innumerable beauty and personal care products available to us. There’s a product for everything you could possibly need. Actually, there are multiple products for everything you could possibly need. 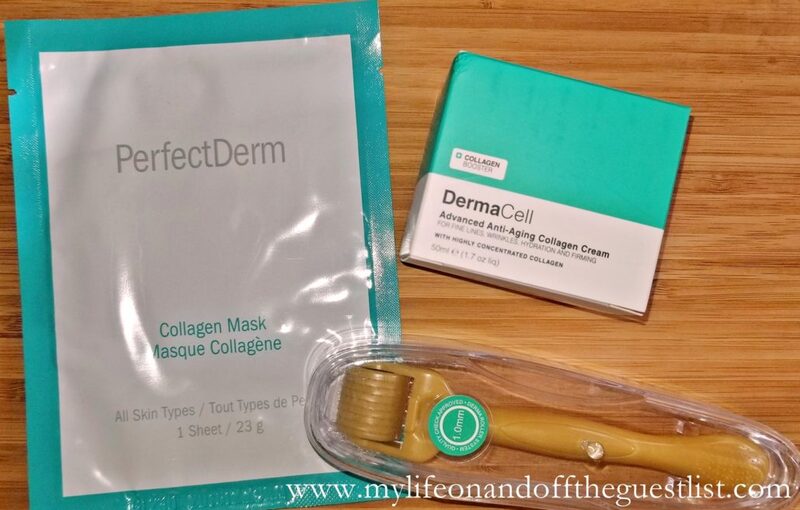 Acne affects 50 million people in the United States every year and if you look at acne treatment products, you’d be hard pressed to make a decision on one of the multitude. Every branch of personal care is like this. Forever about consumable convenience, we’re swift to buy personal care products we don’t really know anything about. On average, people shed between 50 and 100 hairs every day. We’re often thinking about keeping that full head of hair over the chemical ingredients of the shampoo; all for the promise of thicker hair in just a few washes. You’d think that an essential part of personal care is paying attention to the things we’re using; but more often than not, consumers can’t be bothered. This is where consumer product giant Procter and Gamble (P&G) is making a splash with the Environmental Working Group (EWG). For more than 10 years, EWG has been the face of chemical ingredient disclosure in personal care products. They established the EWG VERIFIED program, which puts personal care products through a rigorous battery of tests to ensure the safety of every ingredient. This test also helps to make these ingredients transparent to consumers. 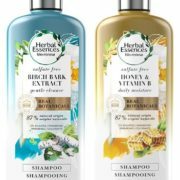 P&G has teamed up with EWG to release two new Herbal Essences shampoos that are both EWG VERIFIED. They are slated to hit shelves in January. This is important, because the last time Congress passed any legislation to regulate the cosmetics industry, was 80 years ago. Advances in chemical development have certainly surpassed the reach of legislation that’s nearly a century old; no one was doing anything to address that gap. Together, P & G and EWG are poised to lead that charge. 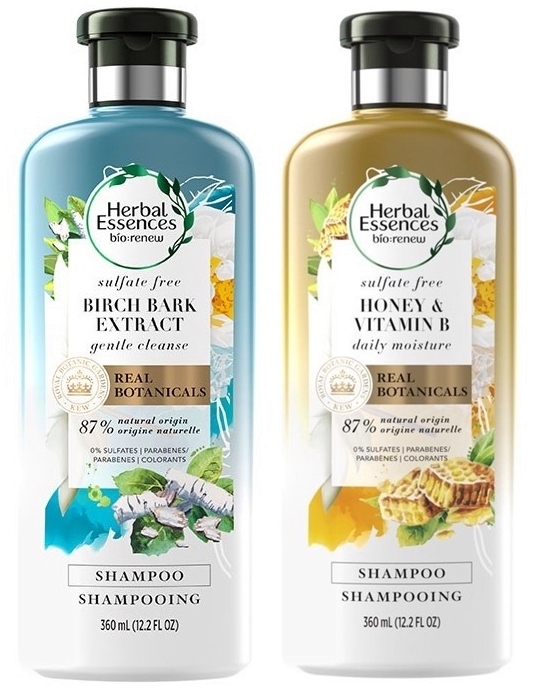 “Because of Procter and Gamble’s sheer size and market share, these new EWG VERIFIED shampoos could be the domino that triggers similar actions from other companies that have not yet embraced this level of transparency,” said EWG President Ken Cook. Having a giant like P & G lead this charge stands to make great changes in an industry long stagnant. Similarly, with consumers becoming more aware of what they’re buying and more research-informed, they’re shaping the way for these corporations to start getting their acts together. Consumers want healthier, more transparent products and they’re willing to go out of their way to buy them. Corporations would be silly not to follow that lead. The proverbial writing’s on the wall. “EWG VERIFIED will take awareness about chemicals in products to the next level by giving shoppers useful information from a team of scientists they have come to trust. Only products that include robust ingredient labels and meet our stringent criteria, as opposed to minimal government standards, will be awarded our mark,” said Nneka Leiba, the director of EWG’s healthy living science program. As EWG VERIFIED products become more mainstream, hopefully, lawmakers will get the memo and take a long overdue look at regulations in the cosmetic industry.